Review: Definitely a YA fantasy novel with all the teen angst and burgeoning crushes you could hope for. Thankfully the author used a bit of restraint in those arenas and focused mainly on the greater mystery. 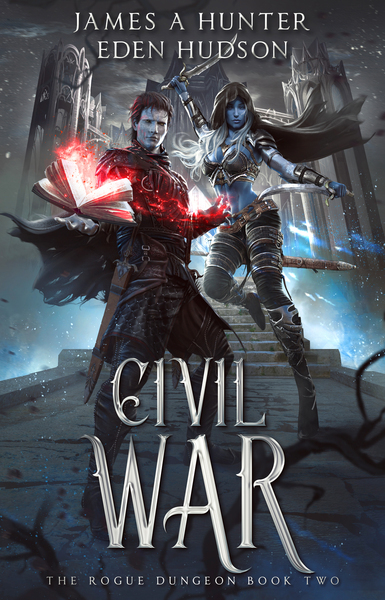 Publisher’s Description: Roark von Graf—former noble and hedge-mage, current mid-level mob in a MMORPG—has his sights set on taking down the tyrannical Dungeon Lord. But the reigning Troll despot is nearly as devious as Roark, and his followers are much higher level. Review: It is tough to do a follow up in a series where the first one was really good. You gotta have your shjt mapped out in order to keep the story line interesting and the characters developing at a good pace. Did this dynamic writing duo succeed in delivering a grande follow up? Read on! Someone at work asked me why my eyes are so red and I said “Really?”. That is what I say to people I don’t want to engage with but in the back of my mind, I am thinking “Fuk, stayed up till 3 am reading again.”. So yeah, you could say that I love this series so much that I am sacrificing health via sleep for enjoyment. Roark is taking over and changing the game as everyone knows it, so stay tuned for the next in the series while catching up on your sleep. Publisher’s Description: PSS 118 is just your typical school—except that it’s a rickety old spaceship orbiting Jupiter. 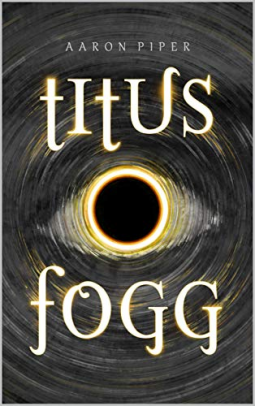 When the school is mysteriously attacked, thirteen-year-old Jack receives a cryptic message from his father (the school’s recently-fired-for-tinkering-with-the-ship science teacher). Amidst the chaos, Jack discovers that his dad has built humanity’s first light-speed engine—and given Jack control of it. To save the ship, Jack catapults it hundreds of light-years away and right into the clutches of the first aliens humans have ever seen. School hasn’t just gotten out: it’s gone clear across the galaxy. And now it’s up to Jack and his friends to get everyone home. 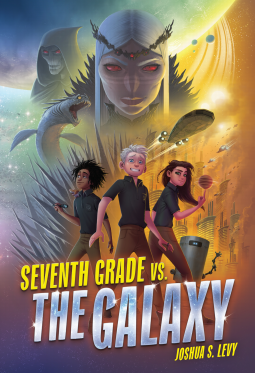 Review: A fun read with the usual teen angst/heroes surrounded by a Hitchhiker’s Guide To The Galaxy kind of vibe. You will not get any resolution with this novel as it is poised for a series. 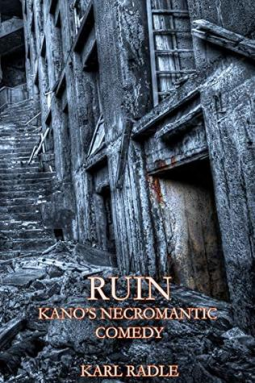 Publisher’s Description: When Egyptologist Rom Hardy receives a strange letter from his old friend, the bounty-hunting sniper Rex McTroy, he finds himself drawn into a chilling mystery. In the mountains of New Mexico, a bloodthirsty creature is on the loose, leaving a trail of bodies in its wake. Now, a wealthy big game hunter has offered a staggering reward for its capture, and Rom’s patron – the headstrong and brilliant Evangeline Waterston – has signed the team up for the challenge. 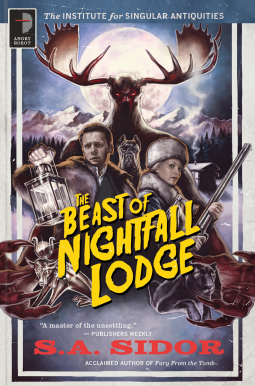 Awaiting them are blizzards, cold-blooded trappers, remorseless hunters, a mad doctor, wild animals and a monster so fearsome and terrifying, it must be a legend come to life. Review: I am really, really tired because I stayed up so late reading this grand tale of supernatural adventure. This is the most fun I have had in a long time. This novel has everything in it that I love. Great characters, an involved mystery and expansive world building. If you like a novel set in the great industrial revolution with proper manners colliding with outllaws, all wrapped in a mysterious fantasy, then the table is set. 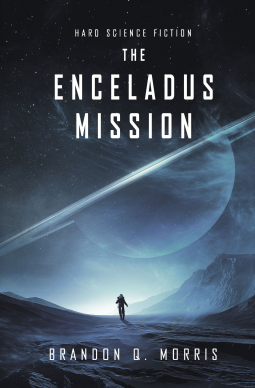 Publisher’s Description: In the year 2031, a robot probe detects traces of biological activity on Enceladus, one of Saturn’s moons. This sensational discovery shows that there is indeed evidence of extraterrestrial life. Fifteen years later, a hurriedly built spacecraft sets out on the long journey to the ringed planet and its moon. Review: Reviewers on the down side of this novel said there was too much info-dumping or too much hard science. Well la-ti-da. Hard science fiction is what built the genre. Remember Ringworld? It is really a waste of time to consider reviews that lack an awareness of the principal aspects that founded their current interest. If it is not romance slathered scifi or concepts that verge on Fantasy without explanation, then millennial readers quickly lose interest. Yeah, thinking is just soooo hard. Even if hard Sci-fi is not your cuppa joe, there is some really good character development and world building to ease the headache in your brain. Most of the novel is viewed through the eyes of Martin. Martin is a bit socially inept and lacks a certain depth in the compassion department. He grows emotionally through the rigors of a long journey and that is a testament to the writer’s skill. I am really looking forward to the next installment if only to see what happens to Marchenko. Publisher’s Description: Sea Wolf sets out to search for the Metal Islands. Leading the expedition is legendary Hell Diver Xavier Rodriguez. After enduring for a decade on the poisoned surface, his survival skills will be put to the test on the dangerous open seas. Review: If you have a hard time suspending your disbelief in lieu of a factual story line….forget reading this series. But….if you like a Doc Savage-esque modern rendition of over-the-top action and unbelievable scenarios then hop on board the Silly Train. X (Xavier Rodriguez) is a manly mans-man with manly mannerisms steeped in vitriol. He has a penchant for revenge laced violence while sacrificing self in order to save the ones he loves….. or kinda likes. He is constantly wounded yet battles through the pain to overcome all manner of beasties including teeth clacking cannibals. So while I was picking the corn out my shjt I noticed a few firearm fails and the impossibility of new species born of the nuclear holocaust after only 200 years. Godzilla could not be reached for comment so grain of salt and all that. Giving this novel a good review rating is like admitting you like disco music. 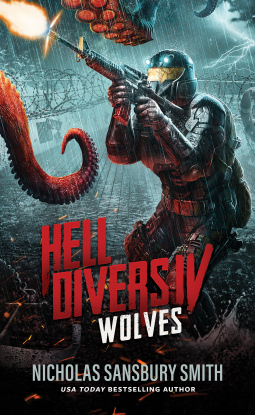 But dammit, whats not to like about giant mutant octopi, armored hog/wolves, crazed laser shooting robots and man-sized predacious vultures? Review: Self-published, really? Somebody get this author a publishing deal!